"A reluctant voyager crossing the Pacific in 1850; a disinherited composer blagging a precarious livelihood in between-the-wars Belgium; a high-minded journalist in Governor Reagan’s California; a vanity publisher fleeing his gangland creditors; a genetically modified “dinery server” on death-row; and Zachry, a young Pacific Islander witnessing the nightfall of science and civilisation—the narrators of Cloud Atlas hear each other’s echoes down the corridor of history, and their destinies are changed in ways great and small. 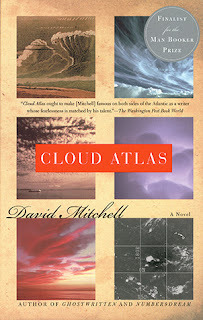 In his captivating third novel, David Mitchell erases the boundaries of language, genre and time to offer a meditation on humanity’s dangerous will to power, and where it may lead us." "In this story of the trials of the peasant Jean Valjean--a man unjustly imprisoned, baffled by destiny, and hounded by his nemesis, the magnificently realized, ambiguously malevolent police detective Javert--Hugo achieves the sort of rare imaginative resonance that allows a work of art to transcend its genre." 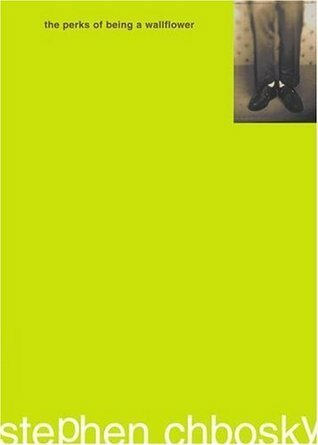 "In 1922, F. Scott Fitzgerald announced his decision to write "something new--something extraordinary and beautiful and simple and intricately patterned." That extraordinary, beautiful, intricately patterned, and above all, simple novel became The Great Gatsby, arguably Fitzgerald's finest work and certainly the book for which he is best known. 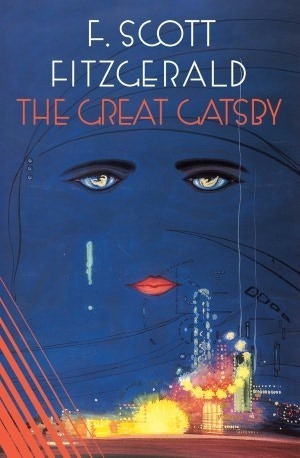 A portrait of the Jazz Age in all of its decadence and excess, Gatsby captured the spirit of the author's generation and earned itself a permanent place in American mythology. Self-made, self-invented millionaire Jay Gatsby embodies some of Fitzgerald's--and his country's--most abiding obsessions: money, ambition, greed, and the promise of new beginnings. "Gatsby believed in the green light, the orgiastic future that year by year recedes before us. It eluded us then, but that's no matter--tomorrow we will run faster, stretch out our arms farther.... And one fine morning--" Gatsby's rise to glory and eventual fall from grace becomes a kind of cautionary tale about the American Dream. "Described by William Faulkner as the best novel ever written and by Fyodor Dostoevsky as “flawless,” Anna Karenina tells of the doomed love affair between the sensuous and rebellious Anna and the dashing officer, Count Vronsky. 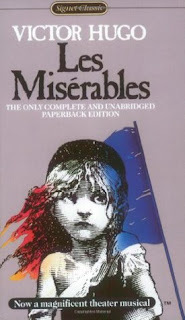 Tragedy unfolds as Anna rejects her passionless marriage and must endure the hypocrisies of society. 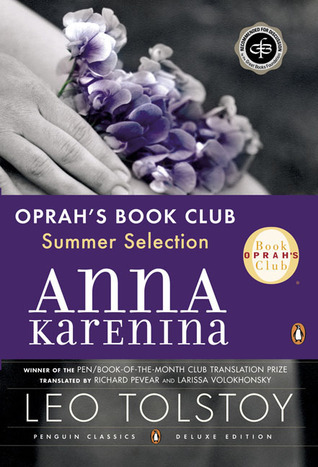 Set against a vast and richly textured canvas of nineteenth-century Russia, the novel's seven major characters create a dynamic imbalance, playing out the contrasts of city and country life and all the variations on love and family happiness." "Written for J.R.R. 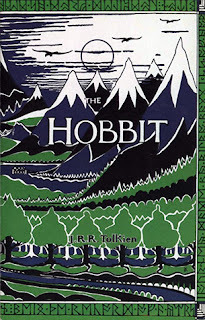 Tolkien’s own children, The Hobbit met with instant critical acclaim when it was first published in 1937. 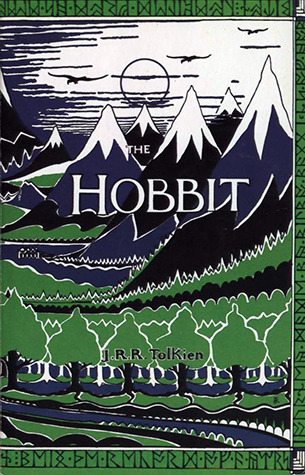 Now recognized as a timeless classic, this introduction to the hobbit Bilbo Baggins, the wizard Gandalf, Gollum, and the spectacular world of Middle-earth recounts of the adventures of a reluctant hero, a powerful and dangerous ring, and the cruel dragon Smaug the Magnificent." "Growing up in Pondicherry, India, Piscine Molitor Patel -- known as Pi -- has a rich life. Bookish by nature, young Pi acquires a broad knowledge of not only the great religious texts but of all literature, and has a great curiosity about how the world works. His family runs the local zoo, and he spends many of his days among goats, hippos, swans, and bears, developing his own theories about the nature of animals and how human nature conforms to it. Pi’s family life is quite happy, even though his brother picks on him and his parents aren’t quite sure how to accept his decision to simultaneously embrace and practise three religions -- Christianity, Hinduism, and Islam. 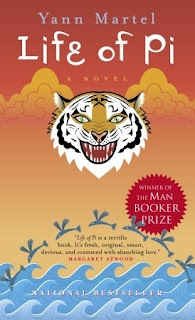 As the days pass, Pi fights both boredom and terror by throwing himself into the practical details of surviving on the open sea -- catching fish, collecting rain water, protecting himself from the sun -- all the while ensuring that the tiger is also kept alive, and knows that Pi is the key to his survival. The castaways face gruelling pain in their brushes with starvation, illness, and the storms that lash the small boat, but there is also the solace of beauty: the rainbow hues of a dorado’s death-throes, the peaceful eye of a looming whale, the shimmering blues of the ocean’s swells. Hope is fleeting, however, and despite adapting his religious practices to his daily routine, Pi feels the constant, pressing weight of despair. It is during the most hopeless and gruelling days of his voyage that Pi whittles to the core of his beliefs, casts off his own assumptions, and faces his underlying terrors head-on. "